Words do not even describe the breath taking views right out your back door or from your roof top deck. 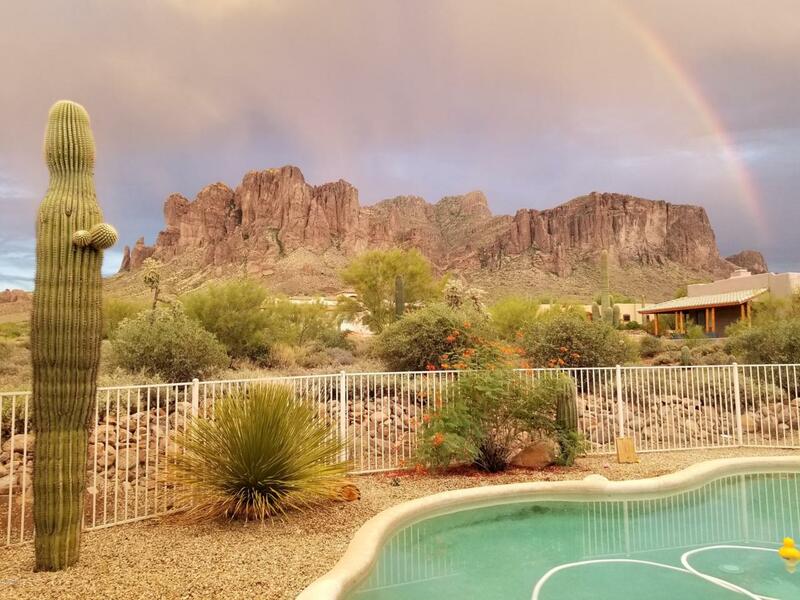 This home is nestled on 1.29 acres and backs the Lost Dutchman State Park, an entire wall of folding glass to enjoy the views of the Superstition Mountains, Deck at roof level with 360 degree views. View Phoenix city lights by night on the west and magnificent Superstition Mountain views by day on the East. 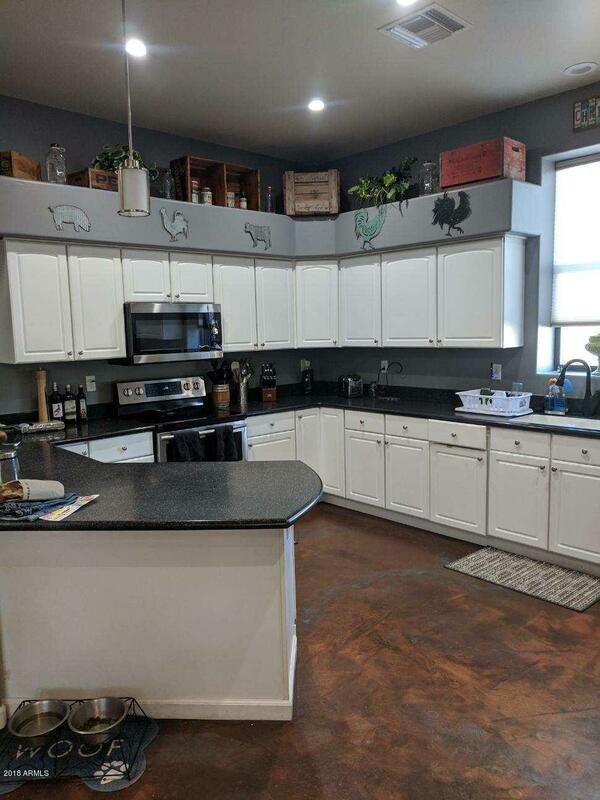 Split 3 bedrooms, 2 bathrooms and a jet tub in the master. Private swimming pool. Even an air conditioned chicken coop. Newer AC, 3 ton 16 seer Trane. Bring the horses, cows or ATV's and your home!